Since childhood we have been told to share what we have in abundance. Over and over again people keep telling us we have so many ideas. In fact, we have over 20 years of ideas collected in notebooks and sketch books that have never been realised. As time is limited, we are not able to execute those product or business ideas ourselves. 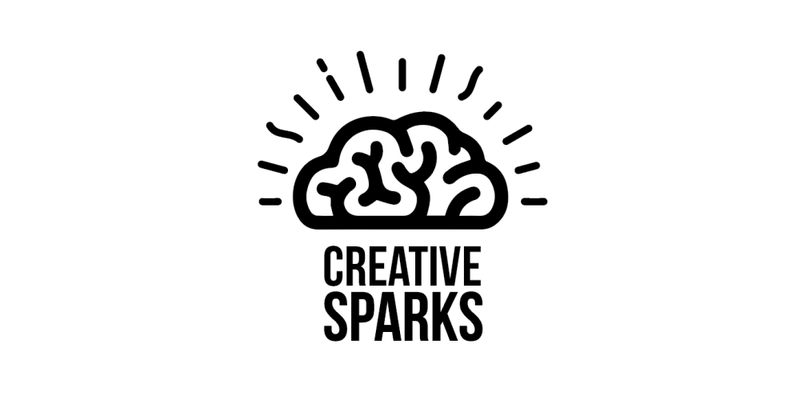 That’s why we are launching Creative Sparks, a creative blog with growing ideas for inspiration. On a weekly basis, we will share a free product or business idea. Hopefully through sharing, we can inspire, invite and motivate tomorrow’s entrepreneurs to create a better future together. January has been a harsh month for international cycling. One ambitious sports wear brand from Belgium has always been loyal to its values and launched its new campaign exactly on the night that 7-times Tour winner (uhum) Lance Armstrong admitted that he had been using performance enhancing drugs while taking all of his Tour victories. With ‘the HERO IS IN YOU’ NODRUGS sportswear emphasizes that you need to believe in your inner strength, not in all the heroes around you since too many of them have fallen from their pedestal lately. Frontmen and woman of the campaign are double IronMan Hawaï winner Luc Van Lierde, Belgian Champion Bike Trial Iciar Van den Bergh and Belgium’s leading mountainbike marathon lady Kim Saenen. LP stands for Loquet-Peelman, the family names of the managing partners of this accountancy office. But it also stands for ‘Long-Playing’, like the legendary vinyl record album some of you might only remember from their parents’ stories. If you are looking for a group of professional accountants with a long-term vision, Pascal Loquet and his team will guide you through all obstacles of finance, accounting and taxation. We are happy to announce that we gave birth to the logo for a new company specialised in high end coffee solutions. Serbenco bvba is a fresh service-based company providing private people, taverns, restaurants and offices with the ‘coffee solution’ that suits their needs. They work with different top coffeemaker brands: Bianchi and Jura. The logo is finished. Next steps: creating a sleek corporate identity and translate this to a corporate website! V-Formation is a young Belgian company specialised in custom team building activities, sports camps and school camps using amazingly large attractions. Recently, they received a complete make-over. After 4 years of existence, it was about time to say goodbye to the V-man and welcome a new corporate identity with a logo that evoces motion, fresh icons, dynamic lay-outs and an assertive tone of voice. It was a challenging task to guide the 2 owners into the world of branding and design, but the result is worth the effort. It’s great to make them proud of their own business! We just launched the micro-campaign for the 2011 Summer Bike Festival. The Belgian mountainbike.be website is organising the third edition of what is about to become Belgium’s largest recreative cycling event of the summer. We built a micro-website, created online bannering, flyers, folders and all documents to communicate and promote the event. PinkOliv created the logo for a new online Event Registration system, Evenza.eu. The website was launched prior to the presentation of the Versluys-Evenza UCI mountainbike team that is sponsored by the new evenza.eu brand. Branding of Sportorders, manufacturer and distributer of top quality sports products. The trick was to create a professional brand image that reflects the company’s main goal: producing and distributing quality sports products. Since Sportorders is a facilitating company, so should its visual identity support the premium sports brands without ‘overruling’ them. The result is a professional, sleek corporate identity that combines blacks and greys that are visually seperated by a green curve. With the new identity comes a visual language for images and advertisements, a flexible website, styling of the online distributors shop, etc. Check it out! Sportorders, the company behind the brand names First Class Nutrition and MP3 Drinks, just launched the new corporate identity for its Sportorders.eu brand. The result is a professional, sleek corporate identity that combines blacks and greys that are visually seperated by a green curve. With the new identity comes a visual language for images and advertisements, a flexible website, styling of the new online distributors shop, etc. Check it out! Teaching kids from 6-14 to have fun on the bike! In the fall of 2010 Maarten Gybels launched a new official mountainbike training school in Belgium. PinkOliv offered its dedicated sports branding services. We used illustrations and slogans to communicate what the school is all about: improving your biking skills while having fun! Practice proofed that this approach is appealing both the kids and their parents and the first issue of the school turned out to be a big success. We translated the chosen style into a variety of branding material and a simple, clear website. The Flemish television channel ‘Canvas’ aquired a bunch of Tribe Chairs for their new TV show ‘Reyers Laat’ that can be seen every weekday (except Wednesdays). The public is seated on the white Tribe seating elements around the table of the interviewer. Although the chair was not designed especially for this kind of purpose, it seems to do the job just fine. More information about the Tribe Chair on our client’s website: www.xlboom.com. We are very happy to announce that Vanessa has succesfully completed her trial period. She has also played an important role in the development of our new logo and corporate identity which you can enjoy from today onwards also on our brand new website. Within pinkoliv she will be working mostly on branding and communication projects, focussed on both print and web. We are very happy with her copywriting skills and conceptual thinking that perfectly matches the future vision of our design agency. EXTRALARGE is a Belgian brand of ‘extra large’ products. These functional products are meant to bring joy to everyone’s life. PinkOliv is responsible for the development of new products, the overal branding and packaging design of all EXTRALARGE products. Since the launch of the EXTRA LARGE brand more than 10 years ago, the logo has been the only visual constant in the product and packaging design. PinkOliv was commissioned to create a consistent packaging and product design guideline. ‘Keep it simple, economic and foul proof’ was the initial brief. All attention had to go to the brand name and the product inside. We literally translated the ‘iconic’ shapes of the products to the packaging design: Clear white packaging with strong product icons and bold EXTRA LARGE typography. ICIAR is one of Belgium’s most promising Biketrial riders. Having a multitude of national championship titles, several Belgian Trial cup wins and top-15 Worlcup rides, he definitely rocks! PinkOliv is offering a full range of sports branding services to ICIAR and is responsible for all branding components from logo design, webdesign, car and trailer design, sports wear design and production up to sponsor management. Corporate identity and branding of the largest mountainbike community website of Belgium and the Netherlands. Serving about 10000 unique visitors / day, the rebranding of the community was a risky challenge. Nevertheless, the associates of mountainbike.be agreed that the 10th anniversary of the website should be the ideal opportunity for a total rethinking of the site’s branding. The new ‘M’ icon and colour combination symbolises the new approach: efficient communication for a community that is bringing independent bikers together to efficiently chair and experience their hobby. In the first phase the website received a style make-over and new branding material was designed. In the next phase we will introduce a completely new community system and news portal for the off-road cycling community. PinkOliv has just finished rebranding the largest mountainbike website of Belgium and the Netherlands. Mountainbike.be has been around for almost 10 years and the original owner of the famous Belgian website, was open to a complete make-over. Within 2,5 months, we managed to release a fresh logo and brand new styling of the website. PinkOliv was also responsible for all branding material, promotional actions, the design of the cycling wear and creation of new sponsor concepts. Since 2005, we have been responsible for the branding and communication of the Art Academy of the city of Geel. Every year in February, we work out a local campaign for the ‘Dag van het DKO’, a day that celebrates the ‘Part time art education’ in Belgium. For 3 years already we managed to create a 2-colour printed campaign that is catchy but stays faithful to the brand we created for the Art Academy.